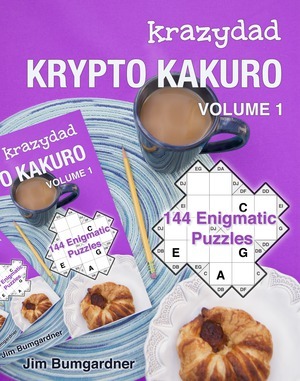 My latest collection of Krypto Kakuro puzzles is now available on CreateSpace and Amazon. Check it out! 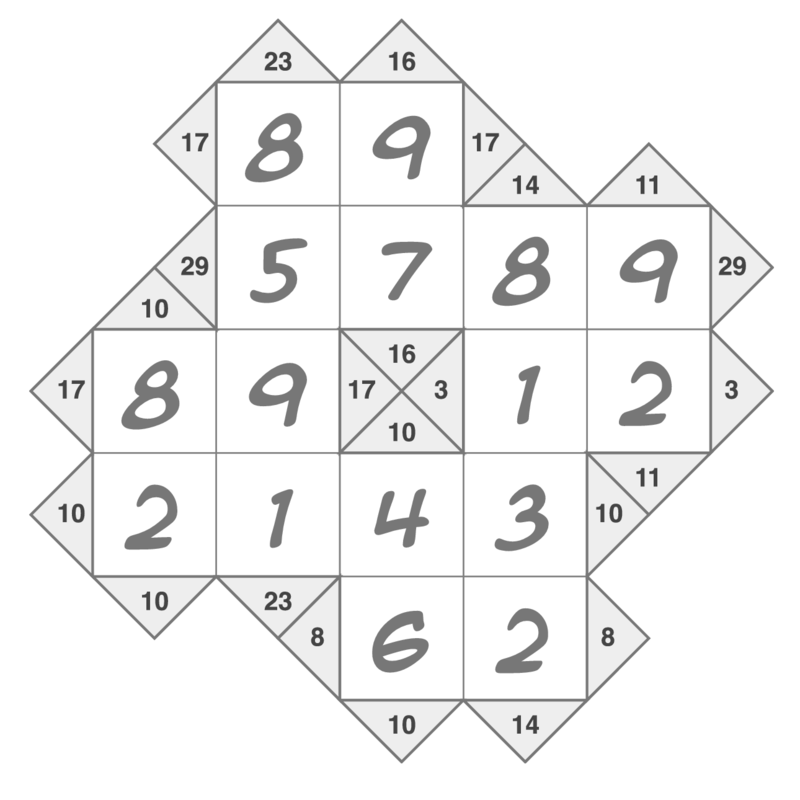 Krypto Kakuro puzzles are a kind of encrypted Kakuro (or cross sum) puzzle in which the numeric clues have been replaced by letters. The fun is in figuring out which number each letter stands for, and then solving the puzzle. 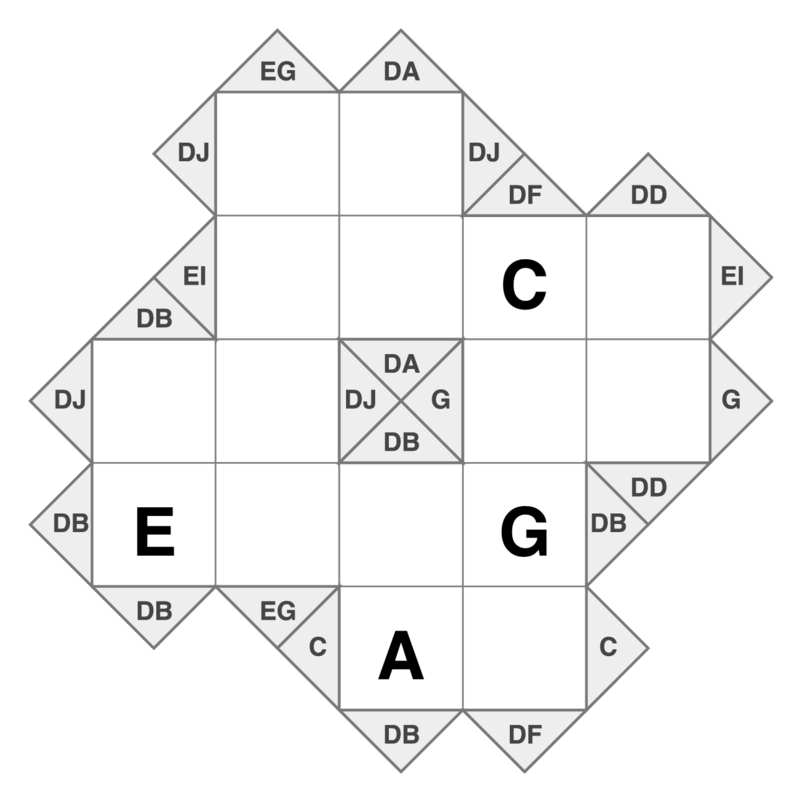 If you haven't solved any regular Kakuro puzzles yet, I suggest you do a few of them, since it will make it easier to solve these. If you like these, you may also like my Krypto Inkies, which are even harder. Here is a tutorial of how to solve a Krypto Kakuro puzzle, so you can pick up some strategy.